A Season of Beauty is a 6-part series discussing the most important steps to healthy, glowing skin with products that you can incorporate into your regular skin care routine at home. 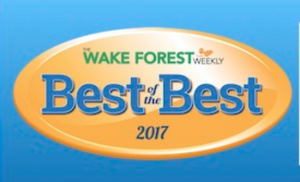 Join me as we explore six ways you can experience a Season of Beauty. Oil Cleansers can be a great place to start. Remember the grade school experiment of adding water and oil inside a bottle and shaking them up? If you let them settle they will separate out from each. The principle behind this simple experiment was that similar liquids are attracted to each other, so the oil molecules will find each other, and stick together, eventually separating from the water. The same is true on the skin! Oil on your skin is attracted to the oil in an oil cleanser. That means that even oily skin types will benefit from a good oil cleanser. As the oil in the cleanser binds with the oil on the skin it removes impurities, makeup and toxins leaving the skin gently cleansed. Oil cleansers are great for evening use to wash away the grime from the day. They are also great as first cleanse in your skin care regimen. Gel Cleansers are common cleansers which are safe for most skin types, but sensitive skin types should be cautious using this type of cleanser. It’s especially important to find one that leaves your skin silky or satiny, but not squeaky clean. Typically, the “squeaky clean” feel is a result of removing the much needed barrier that protects your skin. Milk Cleansers are milky in look and texture. They are great for sensitive skin types, children and babies. They clean without stripping the skin of its protective barrier and are gentle on sensitive skin. How do you know which cleanser to use? As mentioned before, it is especially important to seek a professional, and a skin care analysis, prior to choosing any product. Often what you think might be going on with your skin isn’t the whole story. Let’s meet Sarah, a fictitious client seeking a professional opinion for her skin care needs. She comes in with recurrent blackheads, some breakouts, and she believes that she has oily skin. After a consult about lifestyle, and a good look under the magnifying light for a thorough skin analysis, I am able to determine that she doesn’t have oily skin after all. She has been using the wrong product, one for people with oily skin, and is creating a much worse situation. 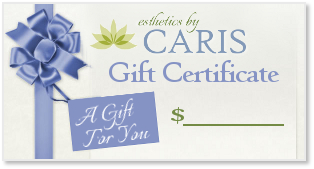 A licensed esthetician can help you decide what is best for your skin. I have many cleansers from which to choose. Some can be very versatile, such as the Stonecrop Gel Cleanser. This cleanser is great for hyperpigmentation, sensitive skin types, and helps with acneic skin as well. I have a lovely Coconut Milk Cleanser that brings balance back to irritated dry skin, and is also great for children and babies. My own grandsons have used this product from the time they were small babies. 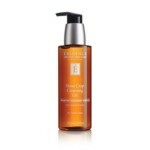 Citrus Exfoliating Cleanser is for normal to oily skin, and is even used by one particular member of the Royal family! NeoGenesis has a beautiful all around cleanser perfect for every skin type; it’s even sensitive enough for oncology patients compromised skin. 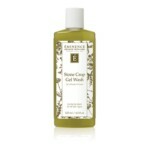 And, one of my all time favorites, Stone Crop Cleansing Oil – Everyone should have this in their regimen! It’s a non-greasy cleansing oil for all skin types. It restores moisture and removes impurities while balancing the skin. These products are used to bring balance back to the skin after cleansing, to add a bit of extra hydration and/or to help serums and moisturizers get deeper into the skin cells. 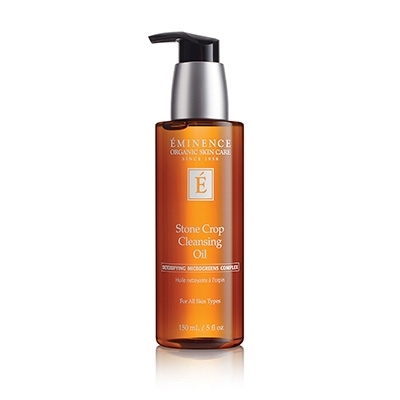 Eminence has a Tonique that pairs well with each highlighted cleanser. NeoGenesis has a Mist that is lovely with any cleanser, serum or moisturizer. It can also be used as an in between when your skin is feeling extra parched or sensitive. As a bonus, I am offering 20% of all in-stock cleansers, toniques and conditioners the week of April 8-13, 2019 only. Call or email to get your favorite cleanser before it’s gone. Stay tuned for next week as we look at Eye Serums!